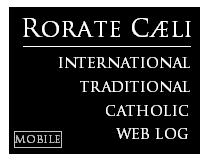 RORATE CÆLI: Instrumentum Laboris for 2015 Synod published:Translation of Selected Passages and Commentary.Plus: Will the "Kasper hypothesis" be smuggled into official Church discipline under the cover of extremely vague and clever language? Translation of Selected Passages and Commentary. Plus: Will the "Kasper hypothesis" be smuggled into official Church discipline under the cover of extremely vague and clever language? The Instrumentum Laboris for the 2015 Synod, an enormous and extremely long-winded document, was published on June 23 but only in Italian. This will be the guiding document for the Synod discussions, guaranteeing that this year's Synod will be at least as contentious as last year's Extraordinary Synod. The portions in italics are taken verbatim from the Lineamenta published last year that served as the guiding document for the consultations that formed the Instrumentum Laboris. In this post we provide extensive extracts from it, mostly taken from its third section. Our commentary will focus mostly on how some passages in this document secure a path for the "Kasper proposal" in favor of remarried divorcees to be accepted by the Synod. The first two parts of the document deals with the challenges and issues of pastoral care facing families and naturally take up topics on which there is little disagreement among Catholics. It is the third part where the explosive topics that characterized last year' Synod are yet again proposed for discussion. It is clear, in particular, that the "Kasper hypothesis" or "Kasper proposal" in favor of giving communion to some civilly-remarried divorcees whose sacramental marriages have not yet been declared null by the Church, without requiring them to renounce their existing cohabitation arrangements with their second "spouses", is not yet dead. Most of our select translations are taken from this part of the document. No. 115 claims that there is a widespread agreement in favor of dispensing with the "second instance" or the confirming sentence in cases of nullity. (Canon Law presently requires that a declaration of nullity by the diocesan or local tribunal -- the "first instance" -- must be confirmed by a higher court -- the "second instance".) Cardinal Burke has spoken (see this) about the devastating effect this has on marriages as demonstrated in the United States from 1971 to 1983, when the absence of the requirement for a confirming sentence resulted in a flood of declarations of nullity. No. 121 in the Instrumentum Laboris calls outright for the "rethinking" of the "forms of exclusion" towards the divorced and civilly remarried in the liturgical-pastoral, educational and charity work of the Church. The same part of the document hastens to add that this is to be done "without prejudice" to Familiaris Consortio # 84 (pertaining to the pastoral care of the divorced and remarried), the same document that is one of the sources of current Church practices towards the divorced and remarried that are now denounced as "forms of exclusion" that need to be changed. Alas, the law of non-contradiction is fast becoming unknown in the current ecclesiastical climate: not a surprise when the supporters of the Kasper hypothesis can maintain with a straight face that their position does not undermine the indissolubility of marriage. Others, for the penitential way, intend a process of clarification and of a new direction, after the failure experienced, accompanied by a delegated presbyter. This process should lead the person concerned to an honest judgment of his proper condition, wherein also the same presbyter may reach an evaluation so as to make use of the power to bind and loose in a way adequate to the situation. Cardinal Kasper said it would be up to members of the extraordinary Synod of Bishops on the family in October and the world Synod of Bishops in 2015 to discuss concrete proposals for helping divorced and civilly remarried Catholics participate more fully in the life of the church. A possible avenue for finding those proposals, he said, would be to develop "pastoral and spiritual procedures" for helping couples convinced in conscience that their first union was never a valid marriage. The decision cannot be left only to the couple, he said, because marriage has a public character, but that does not mean that a juridical solution -- an annulment granted by a marriage tribunal -- is the only way to handle the case. As a diocesan bishop in Germany in 1993, Cardinal Kasper and two other bishops issued pastoral instructions to help priests minister to such couples. The Congregation for the Doctrine of the Faith, headed by the then-Cardinal Joseph Ratzinger, made the bishops drop the plan. A similar proposal made last year by the Archdiocese of Freiburg, Germany, was criticized by Cardinal Gerhard Muller, current prefect of the doctrinal congregation. Citing a 1972 article by then-Father Joseph Ratzinger, Cardinal Kasper said the church also might consider some form of "canonical penitential practice" -- a "path beyond strictness and leniency" -- that would adapt the gradual process for the reintegration of sinners into full communion with the church used in the first centuries of Christianity. To avoid the greater evil of offering no help to the divorced and remarried, cutting them and most likely their children off from the sacraments, he said, the church could "tolerate that which is impossible to accept" -- a second union. "A pastoral approach of tolerance, clemency and indulgence," he said, would affirm that "the sacraments are not a prize for those who behave well or for an elite, excluding those who are most in need." Just like in the Kasper proposal, no. 123, paragraph 2 of the Instrumentum Laboris mentions the possibility of the "remarried" party becoming the true judge of his situation, which in the context refers to his sacramental marriage. Furthermore, just as in the Kasper proposal, there is no mention of the remarried party then seeking a declaration of nullity in order to validate his "judgment" of his own marital situation. Instead, no. 123 refers to a "delegated presbyter" who, upon reaching an "evaluation" along with the remarried party, then "makes use of the power to bind and loose in a way adequate to the situation." Any Catholic will realize that this refers to absolution through the Sacrament of Penance, an act that... paves the way for a sinner to once more receive Holy Communion. For that which concerns spiritual communion, it needs to be remembered that it presupposes conversion and a state of grace and is connected with Sacramental Communion. The defining factor in how one interprets this depends on whether one holds that a "remarried divorcee" can, or cannot, make a spiritual communion, and whether such a person can be in a state of grace despite not renouncing his present state of cohabitation. Many conservatives (e.g. the Polish bishops) hold that such a person cannot be in a state of grace and so can receive neither spiritual communion nor Sacramental Communion (read this), while Cardinal Kasper's argument in favor of his proposal pivots, among other things, on his contention that since a "remarried divorcee" can make a spiritual communion then he can also make a sacramental communion (as seen here) and that he is not necessarily in a state of sin (explained here). In his televised interview with Raymond Arroyo of the Eternal World Television Network on June 4, Kasper acknowledged the opposition to his proposal of large numbers of bishops and even whole episcopal conferences, and recognized that inducing a large majority to support it would be difficult. As a result he proposed a different approach. In the second part of his interview with Arroyo, which will air June 11 on EWTN, the cardinal admitted that he doesn’t have an “overwhelming majority” on his side and that more generally acceptable language will have to be sought to reach a consensus. What better way to ensure a "great majority" or even "unanimity" than to put on the table an extremely vague document that everyone can interpret as they so wish? Cardinal Kasper is very familiar with this methodology: it was he who, shortly after Pope Francis' election, was bold enough to write about Vatican II's intentional ambiguity. Since faith is one, it must be professed in all its purity and integrity. Precisely because all the articles of faith are interconnected, to deny one of them, even of those that seem least important, is tantamount to distorting the whole. Each period of history can find this or that point of faith easier or harder to accept: hence the need for vigilance in ensuring that the deposit of faith is passed on in its entirety (cf. 1 Tim 6:20) and that all aspects of the profession of faith are duly emphasized. Indeed, inasmuch as the unity of faith is the unity of the Church, to subtract something from the faith is to subtract something from the veracity of communion. This passage comes from Lumen Fidei (no. 48), signed and promulgated by ... Pope Francis. 76. (32) Consequently, this work calls for missionary conversion by everyone in the Church, that is, not stopping at proclaiming a merely theoretical message with no connection to people’s real problems. We must continually bear in mind that the crisis of faith has led to a crisis in marriage and the family and that, consequently, the transmission of faith itself from parents to children has often been interrupted. In the face of a strong faith, the imposition of certain cultural perspectives which weaken the family and marriage will cause no harm. 77 (33) Conversion also needs to be seen in the language we use, so that it might prove to be effectively meaningful. Proclamation needs to create an experience where the Gospel of the Family responds to the deepest expectations of the human person: a response to each one’s dignity and complete fulfillment in reciprocity, communion and fruitfulness. This does not consist, not in merely presenting a set of rules, but in espousing values that respond to the needs of those who find themselves today even in the most secularized of countries. 78. The Christian message must be announced by favoring language which stirs hope. It is necessary to adopt a [manner of] communication that is clear and inviting, open, which does not moralize, judge or control, and renders testimony to the Church’s moral teaching, at the same time remaining sensitive to the conditions of individual persons. Since on a variety of themes the Ecclesiastical Magisterium is no longer understood by many, we sense the urgency for [the use of] language that can reach everyone, especially the young, so as to transmit the beauty of family love and render comprehensible the significance of terms such as self-giving (It. donazione), conjugal love, fecundity and procreation. 98. (41) While continuing to proclaim and foster Christian marriage, the Synod also encourages pastoral discernment of the situations of a great many who no longer live this reality. Entering into pastoral dialogue with these persons is needed to distinguish elements in their lives that can lead to a greater openness to the Gospel of Marriage in its fullness. Pastors ought to identify elements that can foster evangelization and human and spiritual growth. A new element in today’s pastoral activity is a sensitivity to the positive aspects of civilly celebrated marriages and, with obvious differences, cohabitation. While clearly presenting the Christian message, the Church also needs to indicate the constructive elements in these situations that do not yet or no longer correspond to it. 99. The Sacrament of Matrimony, as a faithful and indissoluble union between a man and a woman called to welcome each other mutually and to welcome life, is a great grace for the human family. The Church has the duty and the mission to proclaim this grace to every person and in every context. She must also be able to accompany all those who live civil matrimony or cohabitation in the gradual discovery of the seeds of the Word that are hidden in them, in order to value them, up to the fulness of the sacramental union. 100. (42) The synod fathers also noted that in many countries “an increasing number of people live together ad experimentum, in unions that have not been religiously or civilly recognized” (Instrumentum Laboris, 81). In some countries, this occurs especially in traditional marriages that are arranged between families and often celebrated in different stages. Other countries are witnessing a continual increase in the number of those who, after having lived together for a long period, request the celebration of marriage in Church. Simply to live together is often a choice based on a general attitude opposed to anything institutional or definitive; it can also be done while awaiting more security in life (a steady job and steady income). Finally, in some countries de facto marriages are very numerous, not only because of a rejection of values concerning the family and matrimony but primarily because celebrating a marriage is considered too expensive in the social circumstances. As a result, material poverty leads people into de facto unions. 101. (43) All these situations require a constructive response, seeking to transform them into opportunities that can lead to the fullness of marriage and family in conformity with the Gospel. These couples need to be provided for and guided patiently and discreetly. With this in mind, the witness of authentic Christian families is particularly appealing and important as agents in the evangelization of the family. 102. The choice of civil matrimony or, in different cases, of cohabitation is very often motivated not by prejudice or resistance towards the sacramental union, but by cultural or contingent situations. In many circumstances, the decision to live together is a sign of a relationship that wants to be structured and is open to a perspective of fulness. This will, that translates into a durable bond, trustworthy and open to life can be considered a condition for the introduction of a path of growth open to the possibility of sacramental matrimony: an attainable [It. possibile] good that must be proclaimed as a gift that enriches and fortifies conjugal and familial life, rather than an ideal that is difficult to accomplish. 103. In order to cope with this pastoral need, the Christian community, above all at the local level, is to make the effort to reinforce the style of welcoming that is proper to it. By way of the pastoral dynamics of personal relationships, it is possible to give concreteness to a sane pedagogy that, animated by grace and in a respectful fashion, favor the gradual opening of minds and hearts to the fulness of God's plan. In this setting, the Christian family undertakes an important role that witnesses with its life the truth of the Gospel. 114. (48). A great number of synod fathers emphasized the need to make the procedure in cases of nullity more accessible and less time-consuming, and, if possible, at no expense. They proposed, among others, the dispensation of the requirement of second instance for confirming sentences; the possibility of establishing an administrative means under the jurisdiction of the diocesan bishop; and a simple process to be used in cases where nullity is clearly evident. Some synod fathers, however, were opposed to these proposals, because they felt that they would not guarantee a reliable judgment. In all these cases, the synod fathers emphasized the primary character of ascertaining the truth about the validity of the marriage bond. Among other proposals, the role which faith plays in persons who marry could possibly be examined in ascertaining the validity of the Sacrament of Marriage, all the while maintaining that the marriage of two baptized Christians is always a sacrament. 115. A wide consensus is noted on the timeliness of rendering more accessible and quickly, possibly for free, the procedures for the recognition of cases of matrimonial annulment. With regard to [the procedure being] free, some suggest establishing in the dioceses a stable service of counseling, free of charge. Concerning the [need for a] second confirming sentence, there is wide agreement [It. larga è la convergenza] to overcome it, except for the possibility of an appeal on the part of the Defender of the Bond or of one of the parties. Vice versa, the possibility of an administrative procedure under the responsibility of the diocesan Bishop did not receive unanimous consent, as some problematic aspects are noted. In contrast, there is greater consent to the possibility of a brief canonical process in cases of evident nullity. Regarding the relevance of the personal faith of the nubendi for the validity of consent, agreement is noted on the importance of the question and a variety of approaches in the studies thereof. 116. (49) With respect to marriage cases, the streamlining of the procedure, requested by many synod fathers, in addition to the preparation of a sufficient number of persons — clerics and lay people — primarily dedicated to this work will require increased responsibility of the diocesan bishop. This work could be done through specially trained counselors who would be able to offer free advice to the concerned parties on the validity of their marriage. This work could be done in an office or by qualified persons (cf. Dignitas Connubii, art. 113, 1). 117. The proposal is advanced that in every Diocese there should be guaranteed, free of charge, information services, consultancy and mediation connected to family pastoral care, especially at the disposal of separated persons or couples in crisis. A qualified service such as this would help people to embark on the judicial course, which in the history of the Church appears to be the most reliable way of discernment to ascertain the real validity of marriage. Moreover, from different parts, an increase and greater decentralization of ecclesiastical tribunals is requested, providing them with qualified and competent personnel. 120 (50) Likewise, those who are divorced and remarried require careful discernment and an accompaniment of great respect. Language or behavior that might make them feel an object of discrimination should be avoided, all the while encouraging them to participate in the life of the community. The Christian community’s care of such persons is not to be considered a weakening of its faith and testimony to the indissolubility of marriage, but, precisely in this way, the community is seen to express its charity. 121. It is asked from many parts, that the care and accompaniment for the divorced and civilly remarried be directed towards their even greater integration into the life of the Christian community, keeping in mind the diversity of the beginnings of their situations. Without prejudice to the suggestions of Familiaris Consortio 84, the forms of exclusion presently practiced in the liturgical-pastoral, educational and charitable fields need to be rethought. Since these faithful are not outside the Church, a reflection on the timeliness of allowing these exclusions to be dropped is proposed. Moreover, always to favor their greater integration into the Christian community, specific attention should be paid to their children, given the irreplaceable educational role of the parents, by reason of the overriding interest of minors. It is good that these ways of pastoral integration of the divorced and civilly remarried are preceded by appropriate discernment on the part of pastors about the irreversibility of the situation and the life of the couple in the new union, accompanied by a sensitization of the Christian community with regard to welcoming the persons concerned and that they may go on to fulfill themselves according to the law of graduality (cf. Familiaris Consortio, 34), respectful of the maturation of consciences. 122. (52) The synod father also considered the possibility of giving the divorced and remarried access to the Sacraments of Penance and the Eucharist. Various synod fathers insisted on maintaining the present discipline, because of the constitutive relationship between participation in the Eucharist and communion with the Church as well as her teaching on the indissoluble character of marriage. Others proposed a more individualized approach, permitting access in certain situations and with certain well-defined conditions, primarily in irreversible situations and those involving moral obligations towards children who would have to endure unjust suffering. Access to the sacraments might take place if preceded by a penitential practice, determined by the diocesan bishop. The subject needs to be thoroughly examined, bearing in mind the distinction between an objective sinful situation and extenuating circumstances, given that “imputability and responsibility for an action can be diminished or even nullified by ignorance, inadvertence, duress, fear, habit, inordinate attachments, and other psychological or social factors” (Catechism of the Catholic Church, 1735). 123. 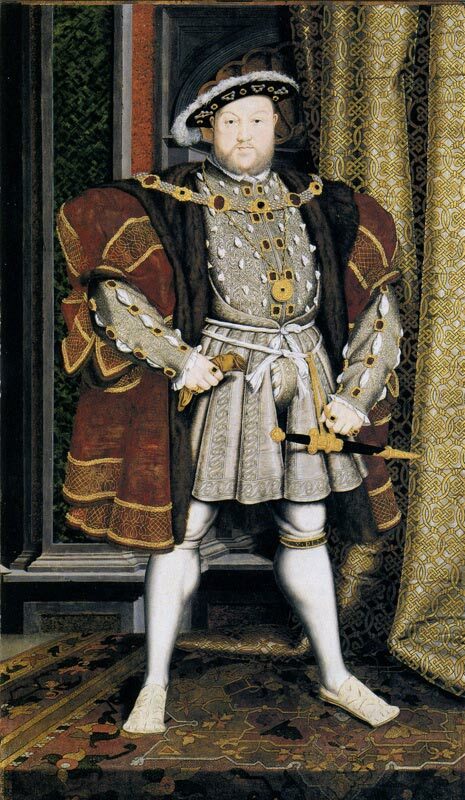 In order to deal with the aforesaid theme, there is common accord on the hypothesis of an itinerary of reconciliation or penitential way, under the authority of the Bishop, for the faithful divorced and remarried civilly, who find themselves in situations of irreversible cohabitation. With reference to Familiaris Consortio 84, a means is suggested of becoming aware of the failure and of the hurts caused by it, with repentance, verification of the eventual annulment of the marriage, commitment to spiritual communion and the decision to live in continence. As concerns deeper studies on the objective situation of sin and moral imputabilty, some suggest holding in consideration the Letter to Bishops of the Catholic Church about the reception of The reception of the Holy Communion by the divorced and remarried members of the faithful by the Congregation for the Doctrine of the Faith (September 14th 1994) and the Declaration from the Pontifical Council for Legislative Texts (24th June 2000) about the admission to Holy Communion of the divorced and remarried. 124. (52). Some synod fathers maintained that divorced and remarried persons or those living together can have fruitful recourse to a spiritual communion. Others raised the question as to why, then, they cannot have access to sacramental Communion. As a result, the synod fathers requested that further theological study in the matter with a view to making clear the distinctive features of the two forms and their connection with the theology of marriage. 125. The ecclesial path of incorporation into Christ, initiated at Baptism, also for the faithful divorced and remarried civilly, is actuated step by step, towards continuous conversion. In this path the modalities are different through which they are invited to conform their lives to the Lord Jesus, who with His grace keeps them in ecclesial communion. As Familiaris Consortio 84 again suggests, among these recommended forms of participation are listening to the Word of God, participation at the Eucharistic celebration, perseverance in prayer, works of charity, [involvement with] community initiatives in favor of justice, the education of children in the faith, the spirit of penitence, all of which are sustained by prayer and the welcoming testimony of the Church. Fruit of such participation is the communion of the believer with the entire community, expression of real insertion into the ecclesial Body of Christ. For that which concerns spiritual communion, it needs to be remembered that it presupposes conversion and a state of grace and is connected with Sacramental Communion. 129. The reference that some make to the matrimonial practices of the Orthodox Churches must take into consideration the diversity of the theological conception of marriage. In Orthodoxy there is the tendency to bring back the practice of blessing second unions with the notion of “economy” (oikonomia) meant as a pastoral condescension with regard to failed marriages, without questioning the ideal of absolute monogamy, that is, the uniqueness of matrimony. 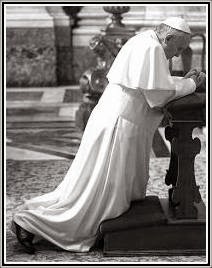 This benediction per se, is a penitential celebration to invoke the grace of the Holy Spirit, in order for Him to heal human weakness and bring back the penitents to communion with the Church.